This is an important subject to write about because dental fillings need to be replaced quite often and also, it flows well from the last blog, about silver fillings. First and foremost, let me tell you that replacing a dental filling is quite easy to do. Most patients feel that it is a very difficult task. They often ask, “Do you have to remove the whole thing?” or “Is it difficult to remove?” I hear these questions often. Silver fillings are generally not hard to remove, though a white filling can be a little bit more of a challenge. In any case, both procedures are completely uneventful for the patient. 1) A Broken Filling: If a filling breaks, it should be redone, for the obvious reason that it broke and the not so obvious reason of leakage. What is leakage? If a filling breaks, then a gap/space will be created where saliva and food particles can accumulate and enter into the existing tooth structure. This leads to decay of the dentin inside of the tooth, which can progress quite rapidly and often result in the need for a root canal. • If a patient clenches or grinds their teeth, the undesirable forces that arise, can easily cause a filling to fracture. Night guards or bruxism appliances are quite helpful because they absorb the forces that would otherwise wear down the teeth and cause fillings to fracture. • Large fillings in particular are more prone to breaking because they can’t withstand the forces that are placed on them. Filling material is not as strong as actual tooth structure. Enamel (the outer surface of the tooth), is the hardest substance in the body. 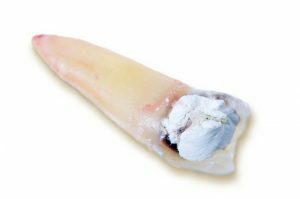 Once it is replaced by filling material, the tooth is no longer as strong, so the bigger the filling, the weaker the tooth. This is why we like to place crowns on teeth with large fillings. We will discuss crowns in the not so distant future. 2) Recurrent Decay: Recurrent decay occurs due to shrinkage…yes, shrinkage. This occurs with both silver and white fillings, but more so with white ones. When the filling material is placed, there is some contraction or shrinkage of it and this leaves a gap between the filling and the tooth. As in #1 above, this allows saliva and food particles to enter and start the decay process. It is important to mention at this point that placing a white filling is a procedure that is more technique sensitive than placing a silver filling and it relies heavily on the skill and expertise of the dentist that is putting it in. 3) Poor Esthetics: This happens quite frequently with white fillings. Over time, they become stained from smoking, coffee, tea, wine etc. In addition, if you bleach your teeth what usually happens is that the bleaching material will bleach the actual tooth structure (i.e., enamel), but not the existing filling material. So, the result is often uneven bleaching. It helps to replace the older white fillings after the bleaching is done. By going for routine dental check-ups, it is possible to detect any teeth that may be broken or have recurrent decay, as outlined above (# 1 and #2). Unless the patient is experiencing pain, it would be difficult for a patient to identify the above mentioned problems, because they wouldn’t feel anything. It is only through a proper dental exam and routine x-rays that you would be able to diagnose these problems. It is easier for a patient to discuss an esthetic concern (#3 above) with the dentist, as it is something that the patient can see directly. This is why we encourage regular dental check-ups! Is it time for a dental check-up? Call us today at (905) 791-3867 to book your appointment. One of Brampton’s most recommended dentists, Dr. Robert Axelrad has owned and managed his own dental practice since 1997. Affectionately known by his patients as Brampton’s Gentle Dentist, he moved his practice to its current, state-of-the-art dental office in Brampton, Ontario in 2002 to accommodate his growing list of happy patients.